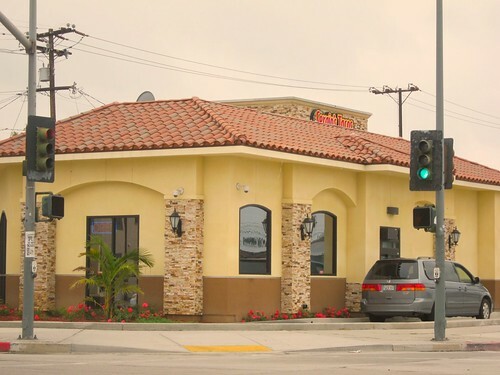 You’re at the corner of Garfield and Olympic, home to the newest Sergio's tacos taqueria. 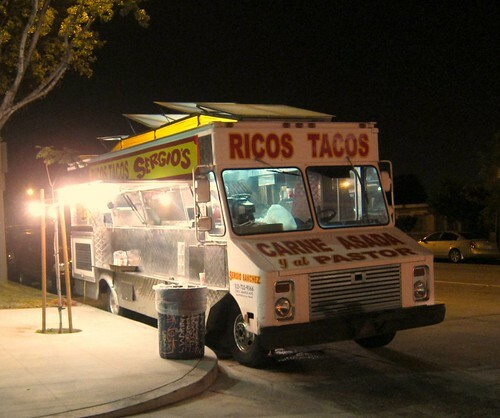 Do you eat at the taco truck, inside the restaurant, or the drive-up window? 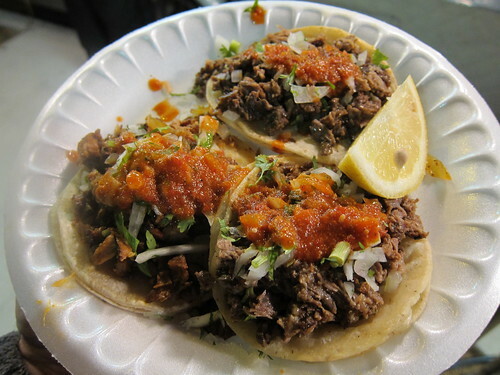 The drive-up window is out; you’re not that lazy, and the restaurant can wait; you’re on the foolhardy mission to blog about every taco truck in LA. The once empty lot, that now serves as Sergio's most happening taco outpost, is not short on options. But the choice is easy. 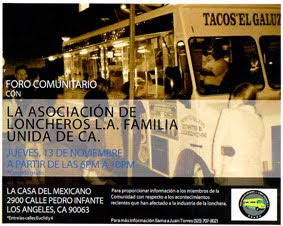 You choose the taco truck. The tacos are addictive and before you know it you’ve had a couple plates and can’t stop hiccuping. People are snickering because they think you can’t handle the heat, and it’s not a blistering heat; you just hiccup every time you eat something spicy. And you love spicy food. Go figure. The salsa is the star here but the carne asada is pretty damn good. 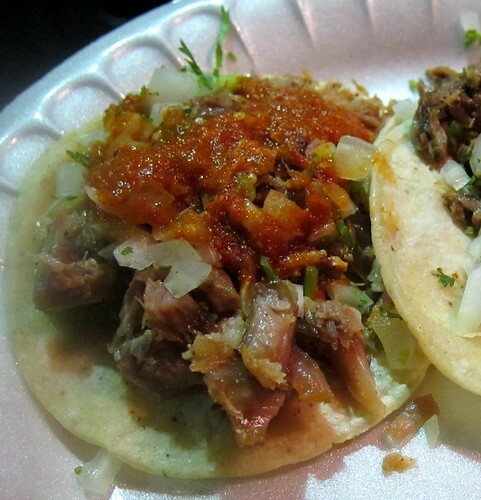 The tacos are packed with the dense chunks of carne, and there’s a lot of flavor. The next day you’re craving the tacos you had the night before so you go back to Sergio’s. This time you go inside and the Gold Cup is on TV. The volume is very loud and the commentary is in Spanish. A goal is scored and the TV flashes "GOL" and the commentator says “GOL, GOL, GOL” over and over and over instead of "Goooooooooaaaaaaal", and you wonder what happened to Andres Cantor. The carne asada once again is greasy and delicious. 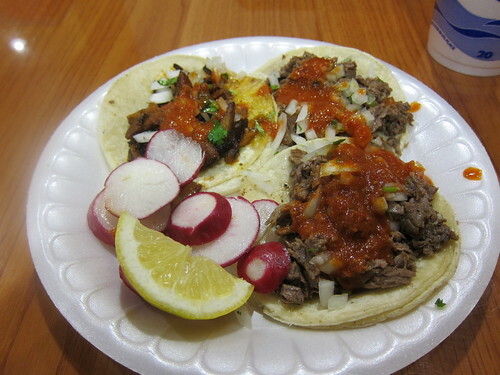 The spicy salsa nips at your tongue; you finish off your horchata, and with the slices of radishes scoop up the meat and onions off the plate. The al pastor and carnitas are serviceable but the house taco is definitely the carne asada. You get a couple more tacos for the road and refill your horchata. The heat is still humming on your lips so you pull off the lid from your cup and drink until the ice fills your mouth. Another goal is scored, “GOL “is flashed on the screen, and the commentator goes into his song. I love the way you describe the whole experience. I wish I could go there because here in Monterrey, Carnitas aren't good and there's no sheep "barbacoa". And the GOL, GOL, GOL description is so vivid!